1.1 You’re connected to the internet, you’ve got enough memory to download updates but why can’t your iPhone update itself? Here’s the fix you can try. 1.2 If one of these situation is true to you, you need iTunes to recover and update your iPhone. 1.2.1 iTunes doesn’t recognize your device or says it’s in recovery mode. 1.2.2 If your screen is stuck on the Apple logo for several minutes with no progress bar. 1.2.3 You see the connect to iTunes screen. 1.3.1 Make sure that you’re using the latest version of iTunes. 1.3.2 If iTunes is already open, close it. Connect your device to your computer and open iTunes. If you don’t have a computer, borrow one from a friend or go to an Apple Retail Store or Apple Authorized Service Provider for help. 1.3.4 On an iPhone X, iPhone 8, or iPhone 8 Plus: Press and quickly release the Volume Up button. Press and quickly release the Volume Down button. Then, press and hold the Side button until you see the connect to iTunes screen. 1.3.5 On an iPhone 7 or iPhone 7 Plus: Press and hold the Side and Volume Down buttons at the same time. Keep holding them until you see connect to iTunes screen. 1.3.6 On an iPhone 6s and earlier, iPad, or iPod touch: Press and hold both the Home and the Top (or Side) buttons at the same time. Keep holding them until you see the connect to iTunes screen. 1.3.7 When you see the option to Restore or Update, choose Update. 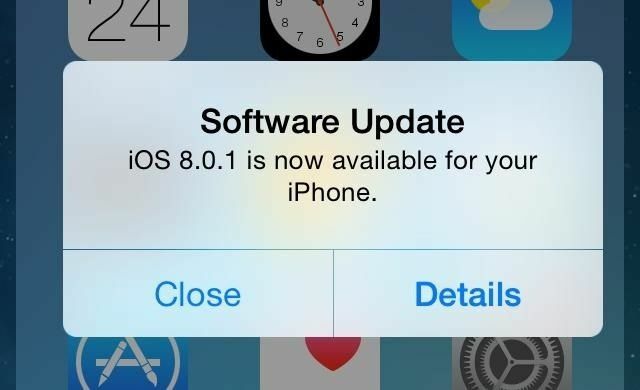 iTunes will try to reinstall iOS without erasing your data. Wait while iTunes downloads the software for your device. If the download takes more than 15 minutes and your device exits the connect to iTunes screen, let the download finish, then repeat step 3. 1.3.8 After the Update or Restore completes, set up your device. You’re connected to the internet, you’ve got enough memory to download updates but why can’t your iPhone update itself? Here’s the fix you can try. If one of these situation is true to you, you need iTunes to recover and update your iPhone. iTunes doesn’t recognize your device or says it’s in recovery mode. If your screen is stuck on the Apple logo for several minutes with no progress bar. Make sure that you’re using the latest version of iTunes. If iTunes is already open, close it. Connect your device to your computer and open iTunes. If you don’t have a computer, borrow one from a friend or go to an Apple Retail Store or Apple Authorized Service Provider for help. On an iPhone X, iPhone 8, or iPhone 8 Plus: Press and quickly release the Volume Up button. Press and quickly release the Volume Down button. Then, press and hold the Side button until you see the connect to iTunes screen. On an iPhone 7 or iPhone 7 Plus: Press and hold the Side and Volume Down buttons at the same time. Keep holding them until you see connect to iTunes screen. On an iPhone 6s and earlier, iPad, or iPod touch: Press and hold both the Home and the Top (or Side) buttons at the same time. Keep holding them until you see the connect to iTunes screen. When you see the option to Restore or Update, choose Update. iTunes will try to reinstall iOS without erasing your data. Wait while iTunes downloads the software for your device. If the download takes more than 15 minutes and your device exits the connect to iTunes screen, let the download finish, then repeat step 3. After the Update or Restore completes, set up your device.